called lost wax casting. 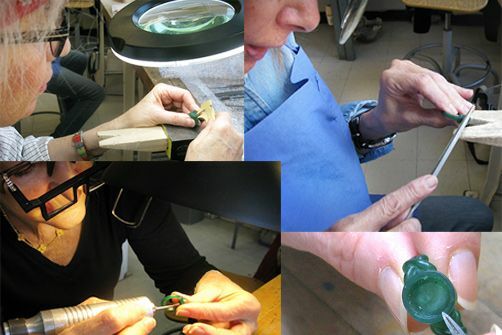 Her pieces are hand carved in modeling wax and then cast in precious metals. It is essentially sculpture on a small scale. If you are interested in learning about this method, she is teaching it at the the wonderful 92nd St. Y in New York City, a landmark cultural and community center on the Upper East Side. Please have a look, and come and enjoy being creative!